There’s more to Maine than the Appalachian Trail. Whether your interests include the wife carrying championships in Newry, bean hole beans in Wytopitlock or just kicking back with a cold one at the Molunkus Stream Tavern in Macwahoc on “funny hat night”; no trip to Maine would be complete without getting to know the natives a little better or exploring some of the other natural wonders within the State. With hundreds of miles of trails in just about every part of the State, if you are still in the mood for some hiking after spending time in the 100 Mile Wilderness, then you are in for a real treat if you just take the time to explore some of what Maine has to offer. Some of the best hiking is along the coast. Should you be lucky enough to have friends or family with you while you are in Maine, then by all means, see for yourselves why Maine is a destination for many travelers. I have listed a few of my favorite places which make for a “well rounded” Maine adventure should you decide to spend a day or two site-seeing before heading home. I am fortunate to live within an hours drive of Acadia National Park. The Park is one of those places that is always different whenever a visit is made. Whether it is the changing seasons or the change in the ocean air, there is no such thing as a bad day in Acadia. With over 120 miles of maintained trails and a vast network of inter-connected carriage roads ideal for walking, mountain biking or horseback riding there is something for everyone to do and see. Before you begin your visit, be sure to stop at the Visitor Center or Park headquarters to get a free map and information on the local campgrounds, hotels and restaraunts if you plan to stay. 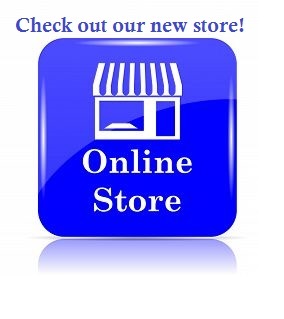 Lots of good shopping available in Bar Harbor and major resupply available in Ellsworth; the last sizeable town. Without a doubt, one of the most beautiful places in Maine is the Bold Coast unit located in Cutler and Whiting, most commonly referred to as part of Downeast Maine. This 12,000 acre preserve includes much of what is typical in this part of coastal Maine; peatlands, bogs, blueberry barrens, partially forested ledges and thick, swampy black woods. The outstanding feature of this area is the 4-1/2 mile trail that follows the rugged coastline along jagged cliffs jutting out into the ocean from dizzying heights. As the waves crash below, seals and sea lions can be seen playing in the waters as the local lobstermen tend to their traps. This undeveloped coastline is among Maines prized jewels. There is nothing else like it in the State and well worth the drive time to spend the day in a place unspoiled and uniquely Maine. Free maps are available at the kiosk in the small parking area. Maine is rich with fast flowing waters and rough and rugged rivers that contain some of the best whitewater rafting this side of the Mississippi River. Various rafting centers are established throughout the State with facilities setup in the Millinocket, Greenville and West Forks. A day spent rafting the Dead, the Kennebec or the Penobscot rivers will be a time not soon forgotten and a true white knuckle experience guaranteed to get an adrenalin rush and put the fear of God in you, should you survive the heart pounding experience. A trip to Maine wouldn’t be complete without a trip to Freeport and a visit to the flagship stores of LL Bean. This once quiet little town now hosts many of the major outfitters including North Face and Patagonia. This is the mecca for shoppers with retail outlets and local eateries all within easy walking distance. 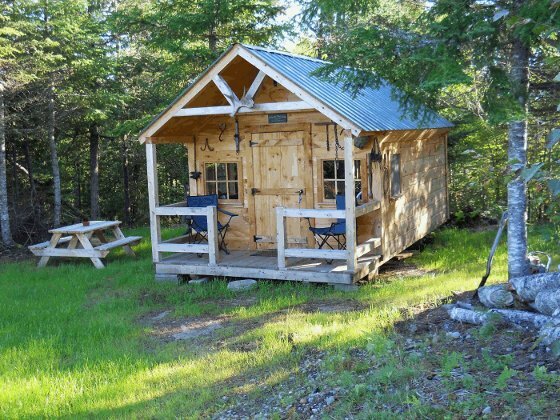 If you are looking for a unique experience centered around personalized and individual attention, then you should consider contacting a Registered Maine Guide. Licensed by the State of Maine, Guides are required to undergo extensive training in related fields and must successfully complete written and oral exams administered by the Commissioner of the Maine Department of Inland Fisheries and Wildlife. 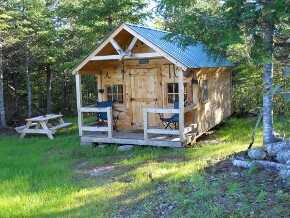 www.mefishwildlife.com (207-287-8000). Categories include First Aid, Wilderness Search and Rescue, Safety, Map and Compass, Animals, Firearms, Hunting, Fishing, Canoeing, Recreation, Trapping, Snowmobile Excursions, Water-craft Laws and Regulations. Guides must also obtain a Motorboat Operator License to carry passengers for hire. 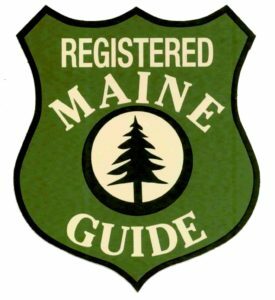 Registered Maine Guides are professionals and can enhance your wilderness experience by providing expert advise in their related field. 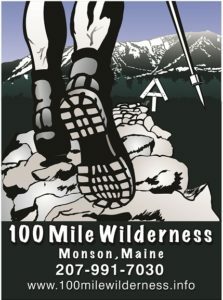 At 100 Mile Wilderness Adventures and Outfitters in Monson, I specialize in Maines’ 100 Mile Wilderness. 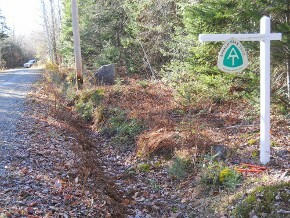 As a Guide, I know the vast network of logging roads throughout the region as well as the many miles of trails in the area. I can get you into or out of the area quickly and safely. 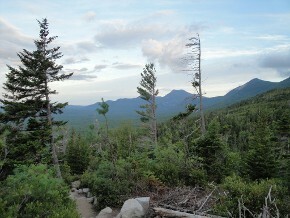 The 100 Mile Wilderness is my “backyard” and has been my playground for over 35 years. 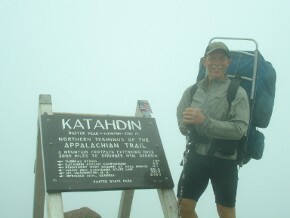 If you are planning a trip into Maines’ 100 Mile Wilderness, give me a call or drop me a line and I will be happy to help you with your plans.